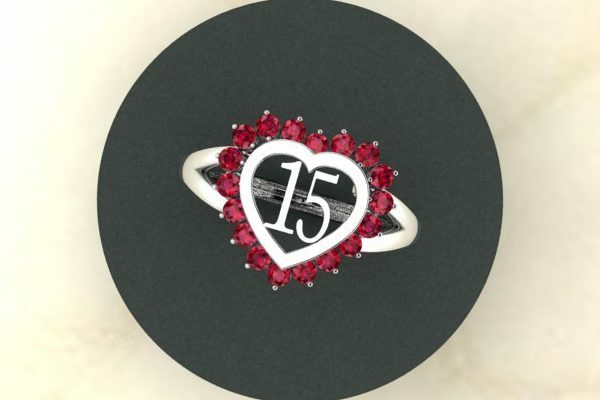 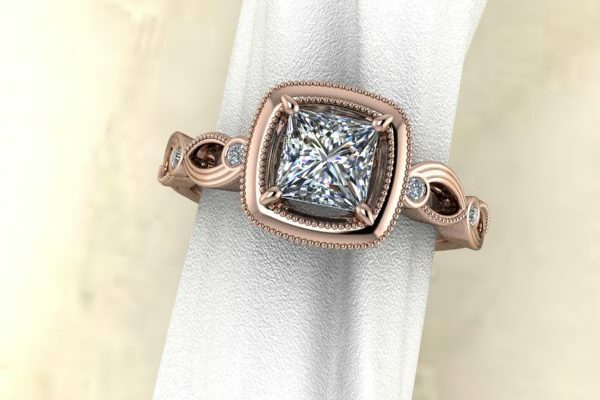 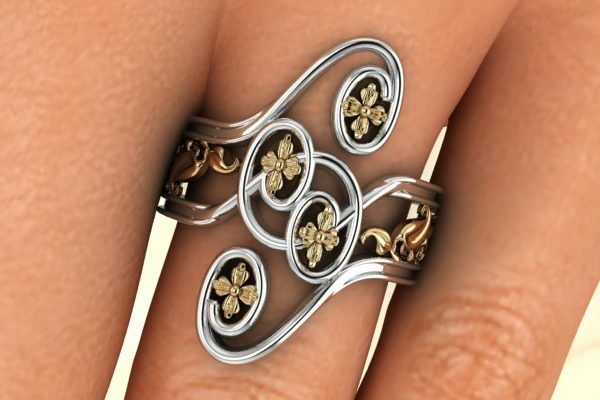 A sketch of the setting is made using our top of the line jewelry CAD software. 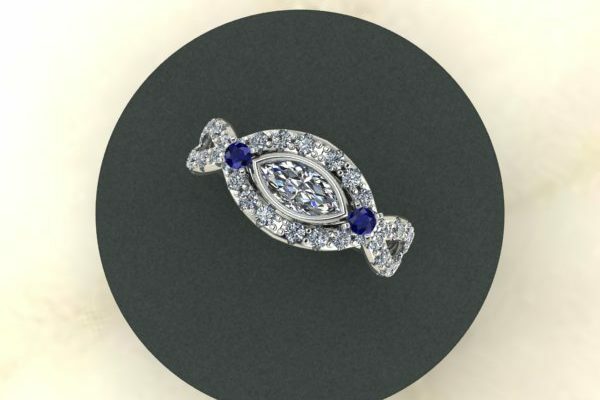 A wax mold is made to make sure the design is right and it will fit the jewel or medallion. 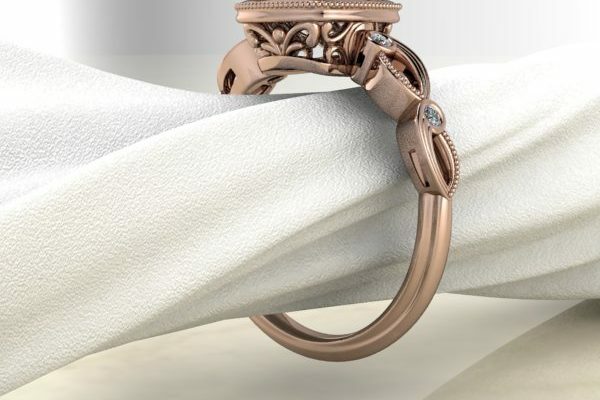 The raw metal version is created after the wax version is approved. 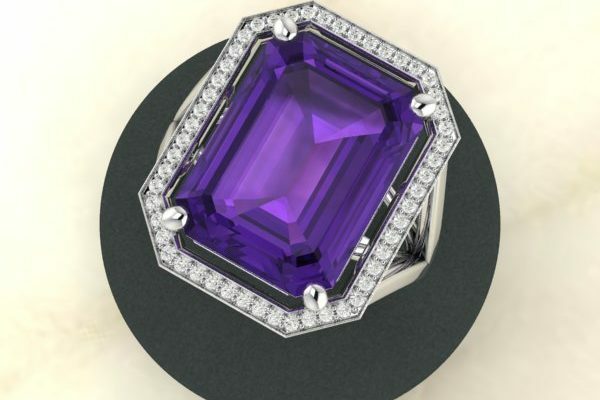 The final ring setting is ready for the stones to be set. 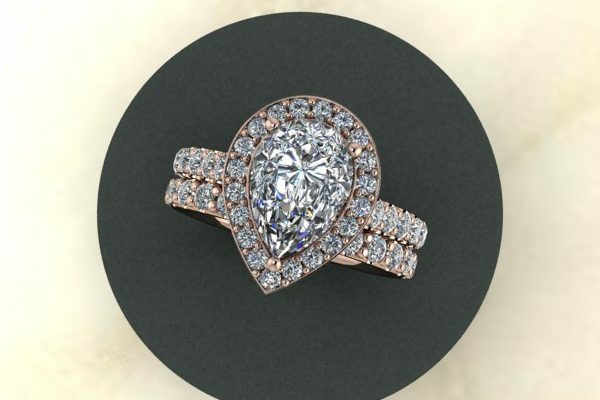 Bring in your ideas and spend time with us. 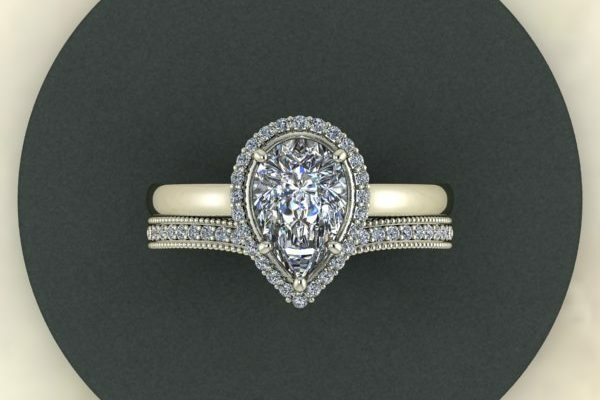 We offer unlimited design sessions at times that are convenient for you, so it’s best to make an appointment. 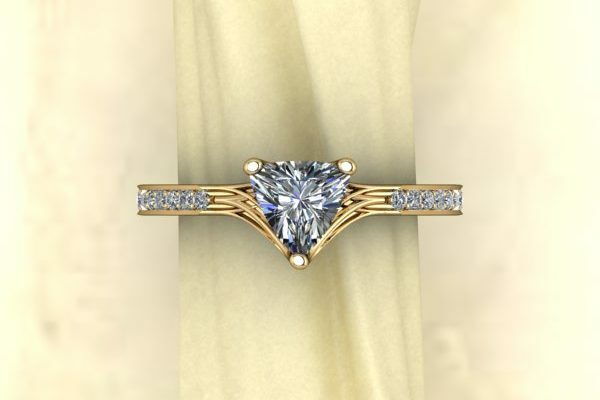 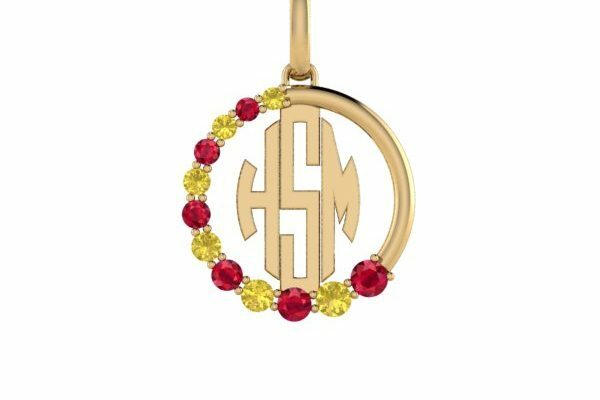 Jewelry design is Susan’s passion, so her time is yours with no additional cost. 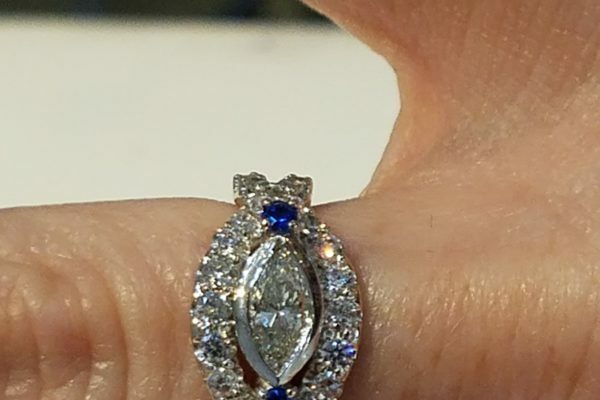 We can customize a basic design, create a design based on your inspirations or you can let Susan design an original piece based on your design preferences. 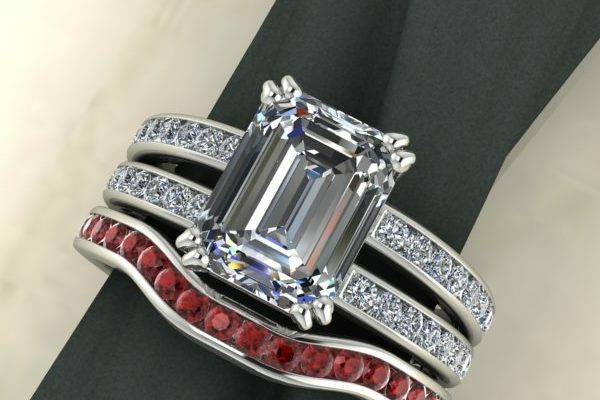 Don’t know what you want? 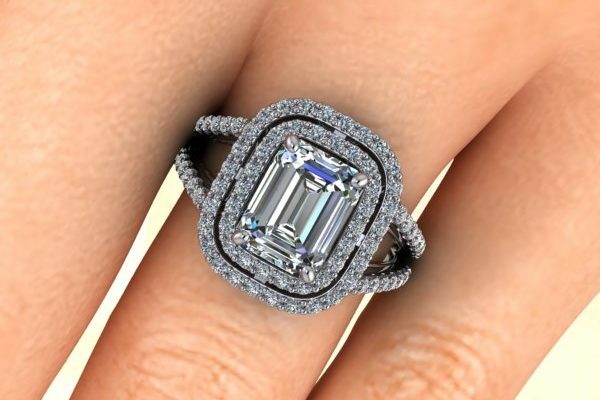 Take our design quiz to identify your primary and secondary design aesthetic and we’ll go from there. 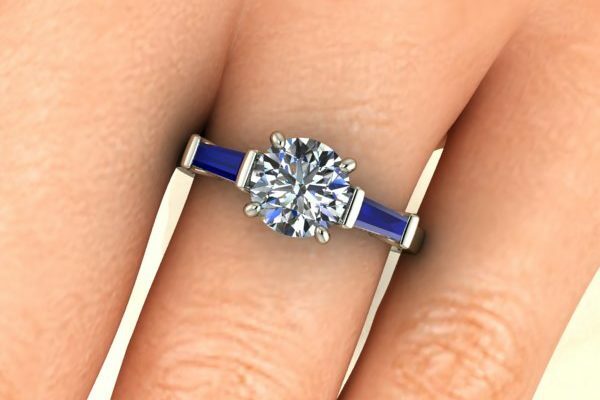 When you decide to move forward, we’ll sign a Custom Design quote and agreement (custom designs are created just for you and as such are not refundable or exchangeable) and collect a 50% deposit. 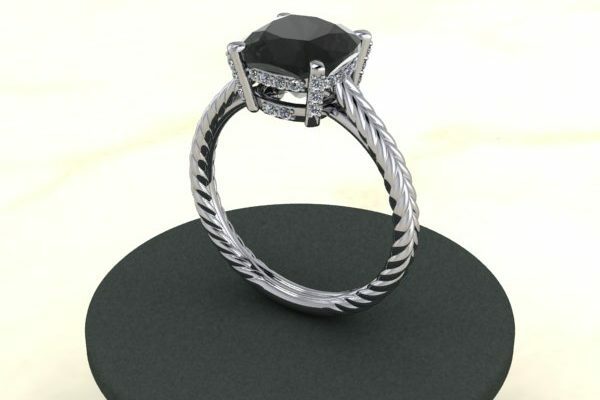 Sometimes a ring design requires we order a 3D printed wax (how cool is that?) 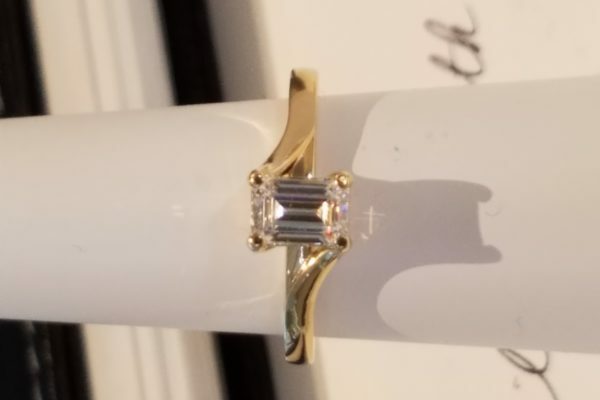 to assure it fits properly before the casting is begun. 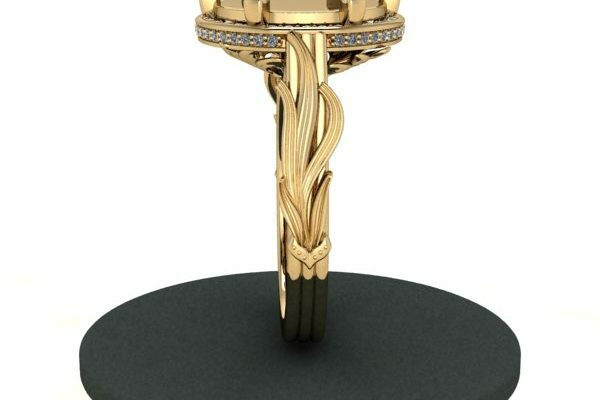 Once the design is finalized, we will submit it to Stuller for a firm quote and final renders of your design from four different angles for approval. 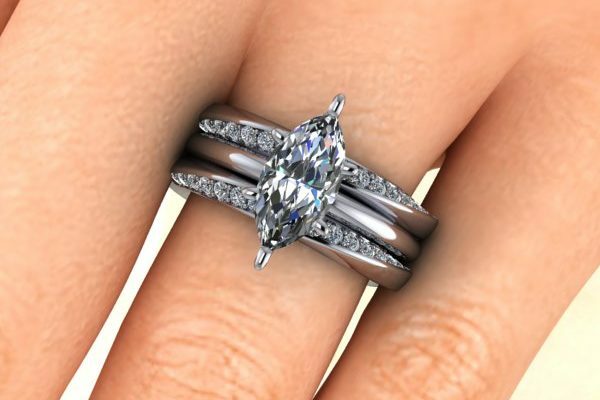 You will be provided with a quote that outlines all your costs separately so you know where your money goes. 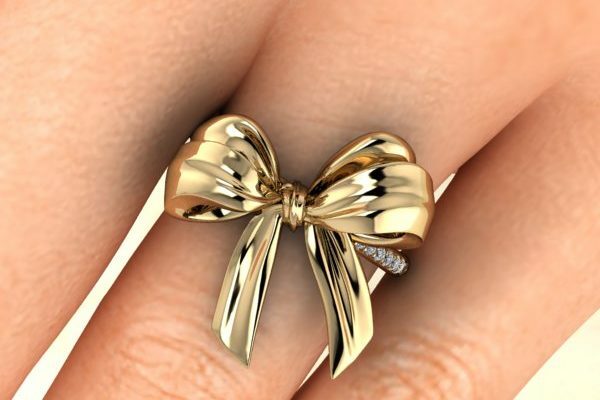 We encourage recycling, so if you have gold jewelry you do not wear, bring it and we can give you a gold credit to apply to your ring cost. 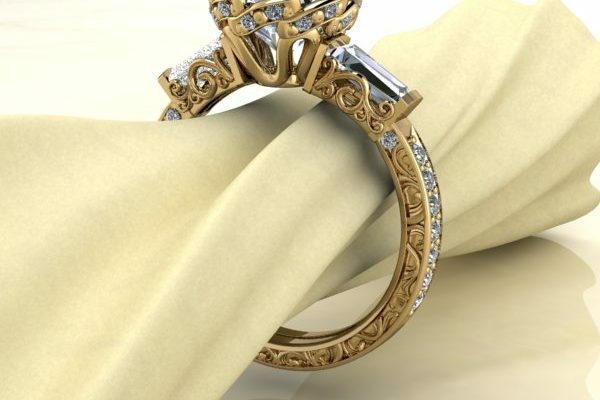 Due to fluctuations in the gold market, your quote will be good for 30 days. 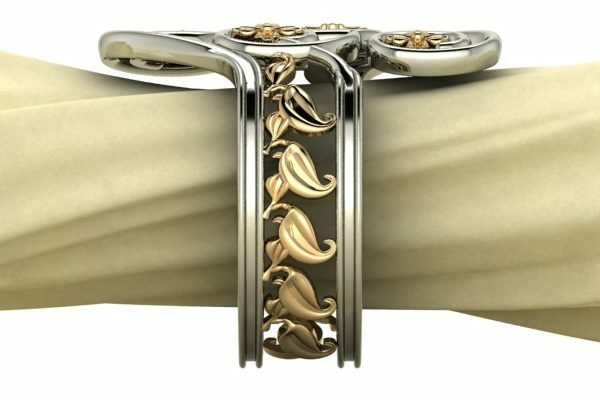 **If you decide after 30 days, a new quote will need to be requested and prices are subject to the gold market at the time. 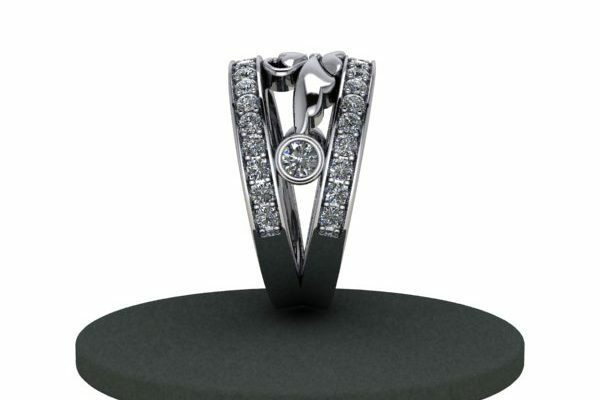 Your Custom Designed piece of Jewelry is Ready! 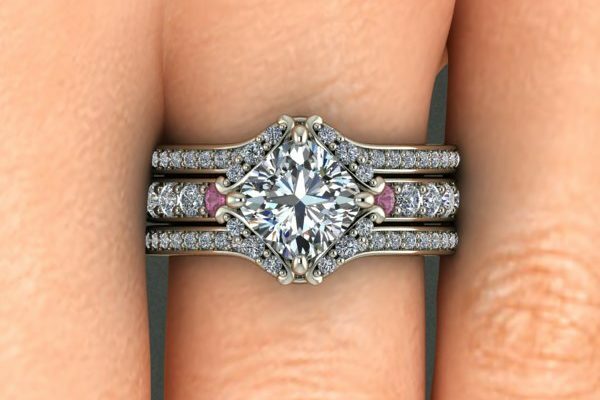 Custom designs are typically ready within 3-4 weeks from the time the deposit is paid. 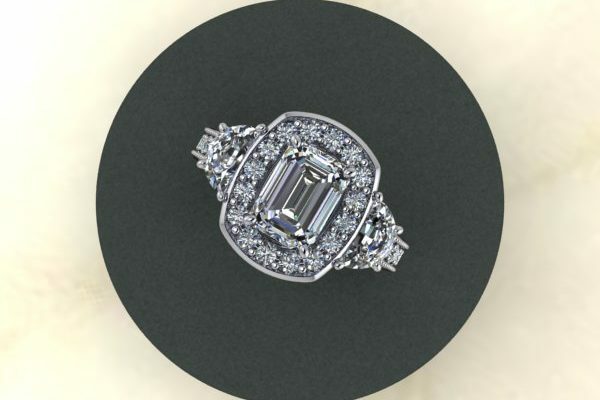 While we do utilize all the technical resources at Stuller, jewelry finishing and stone setting is still done by human hand and as such can take a little longer. 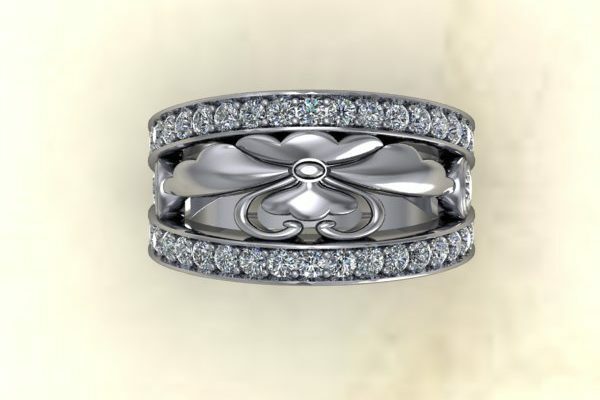 Lubbock’s only interactive custom jewelry design experience. 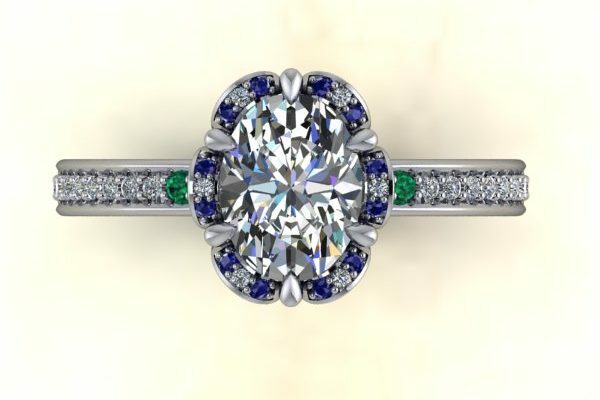 Today, custom jewelry design IS for everyone. 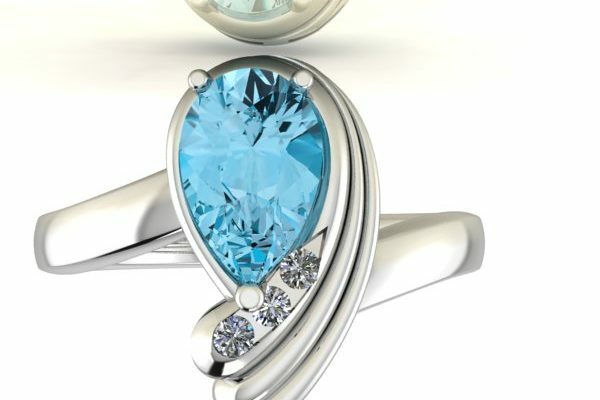 In a time when you can customize everything from sneakers to cell phones with the click of a button, jewelry design should be just as easy….and it is at Royal Hummingbird Studio inside Diamontrigue of Lubbock. 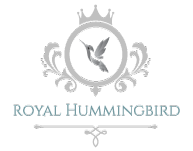 All designs by Royal Hummingbird are made in the USA and manufactured at Stuller in Louisiana in your choice of precious metal qualities. 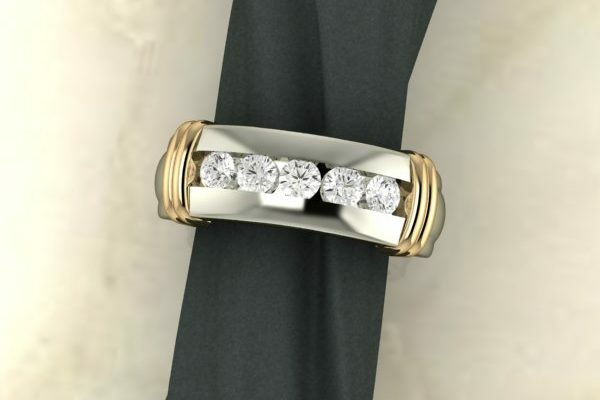 All mountings come with a lifetime warranty against manufacturing defect. 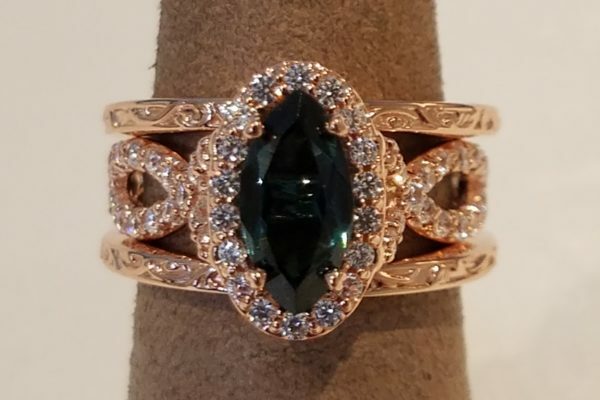 If you choose a Diamontrigue gemstones for your special design, you will have stone replacement at ½ price for as long as you own your ring. 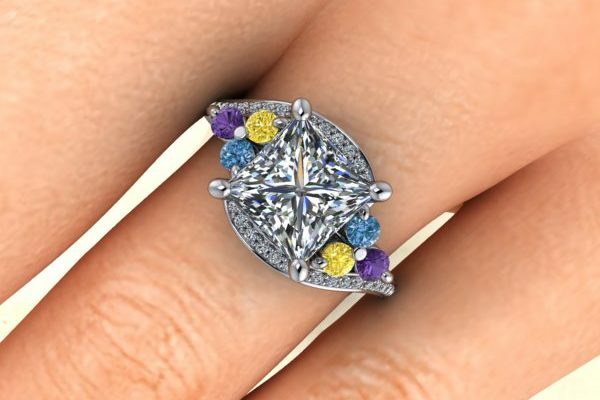 Just like people, gemstones have personalities and characteristics all their own, and they look their best when they’re dressed right! 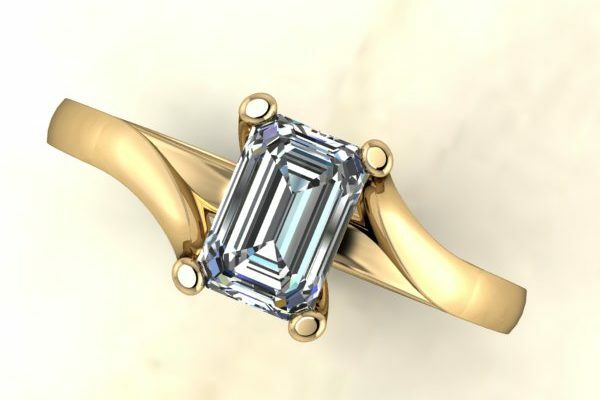 We’ll offer suggestions of how to make the most of the stone you choose and make recommendations on designs that fit your lifestyle and wear patterns and give you advice on care and cleaning or your design. 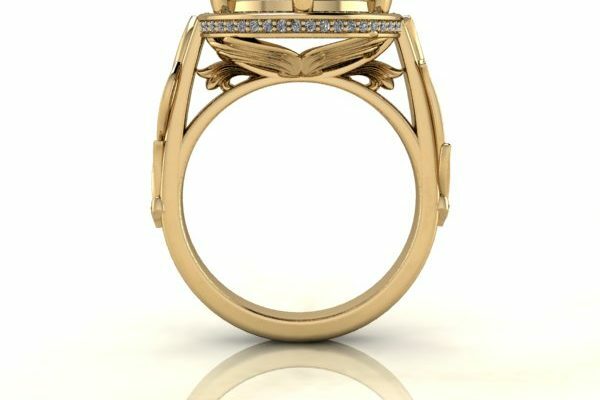 Royal Hummingbird Studio is where jewelry art and technology meet…and the result is beautiful. 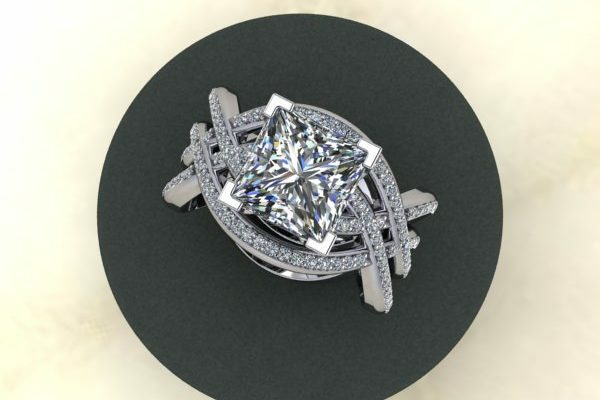 Utilizing CAD/CAM technology couples can sit down with our Owner/Designer Susan in a comfortable, interactive setting and design their ring. 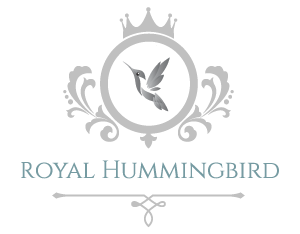 Royal Hummingbird Studio is Lubbock’s only interactive design experience and we embrace today’s technology! 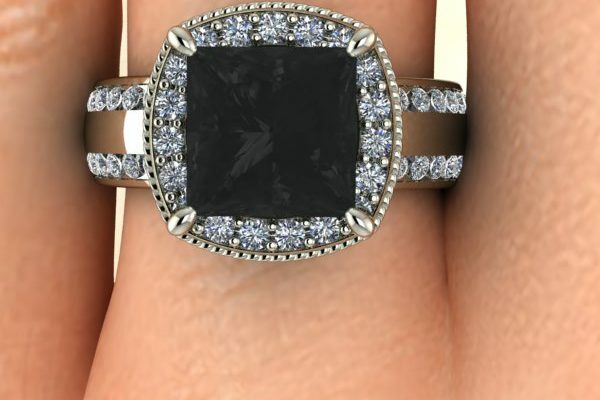 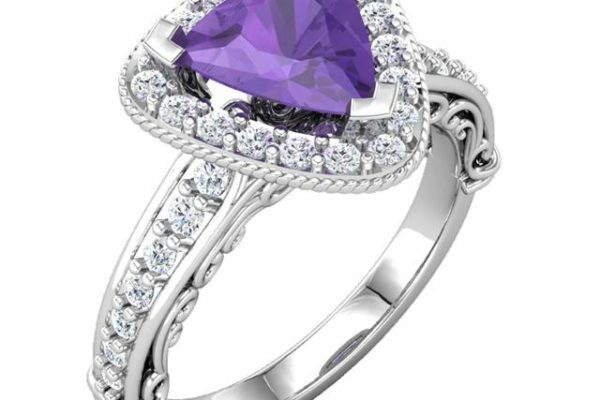 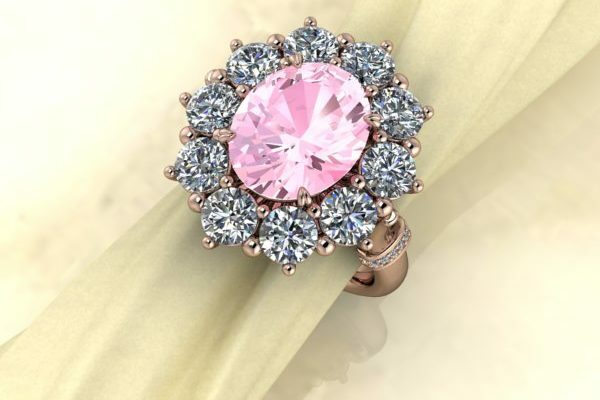 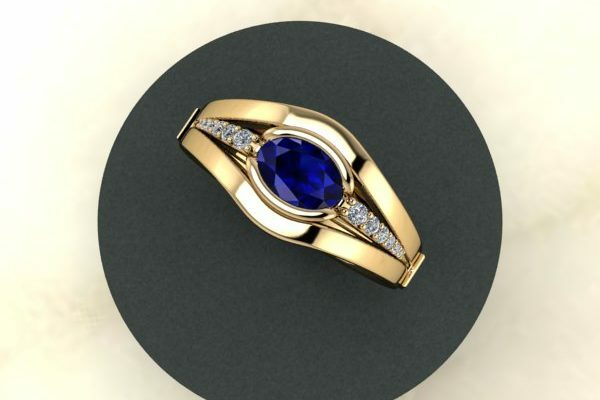 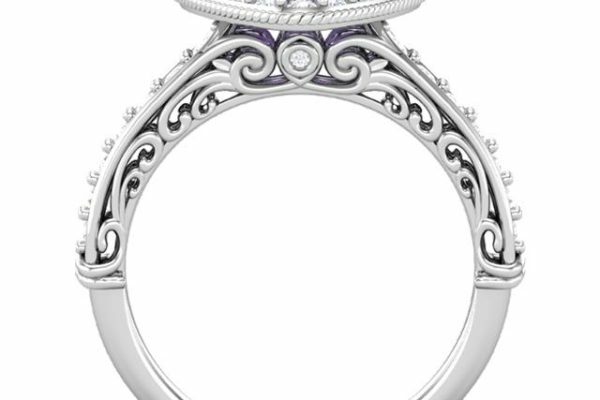 Your ring will come to life on a video monitor that provides a 3 dimensional look at the design and enables you to rotate the image, change gemstone colors, model it on a hand, and render a realistic model. 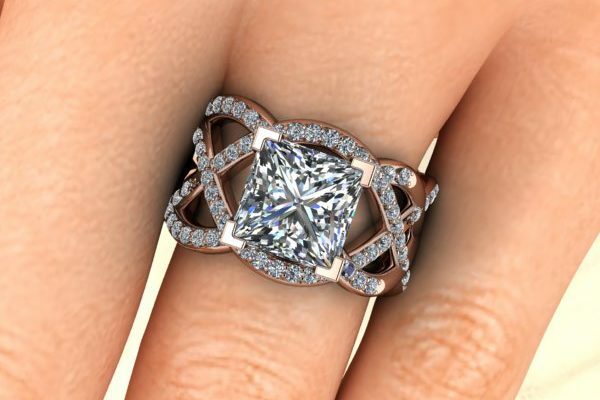 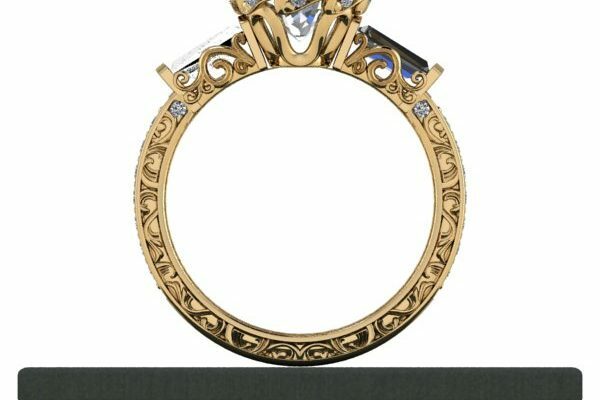 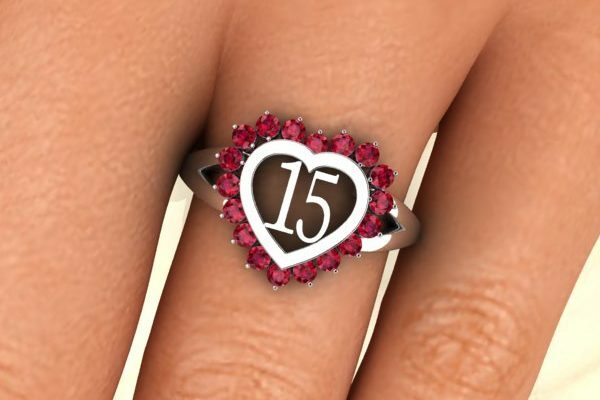 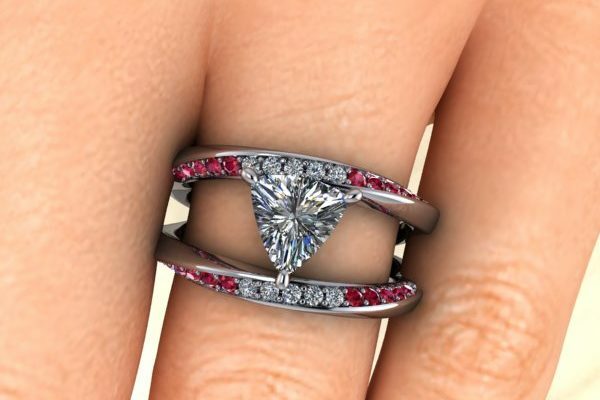 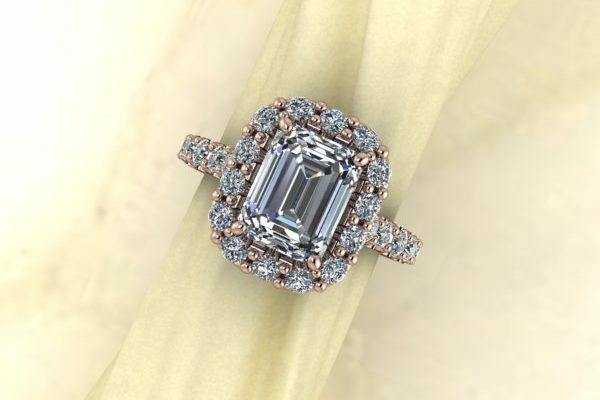 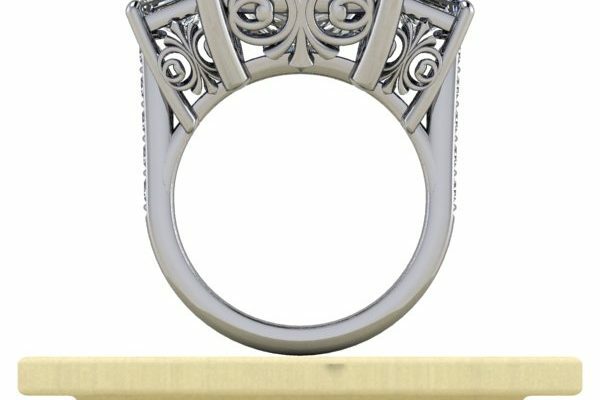 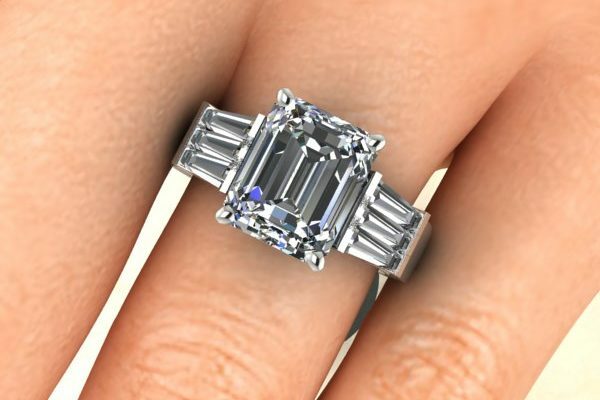 Best of all, because we use state of the art digital modeling tools, you can design your ring start to finish without spending any money at all until you’re ready. 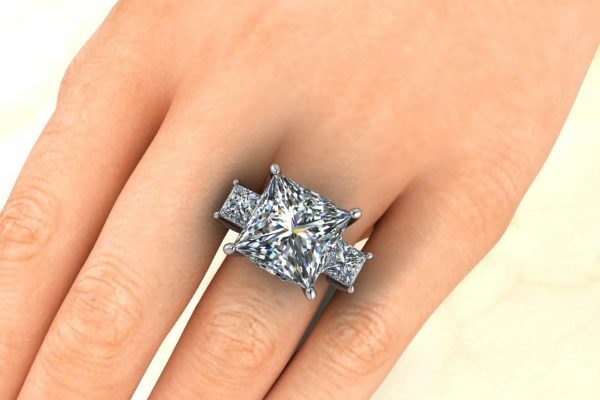 Bridal styles are changing, and many couples are opting for alternatives to diamonds for their engagement rings. 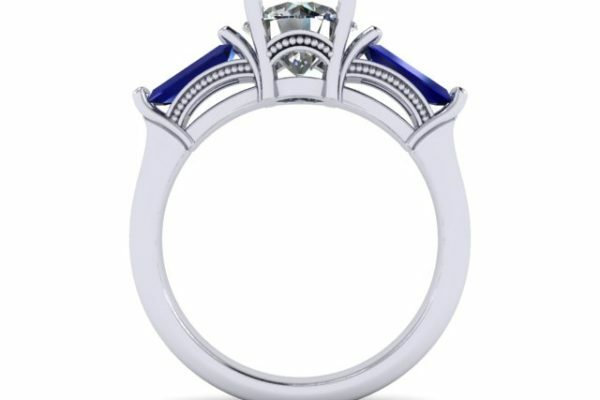 CZ, Moissanite, and colored gemstones are proving to be what today’s couples want, but they want something even more….a jewelry piece that is uniquely theirs, the opportunity to have a hands-on interactive experience and information to make the best decision for THEM. 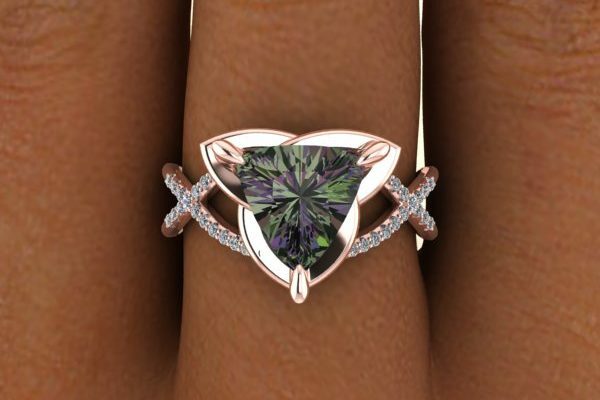 © 2019 Royal Hummingbird Studio.